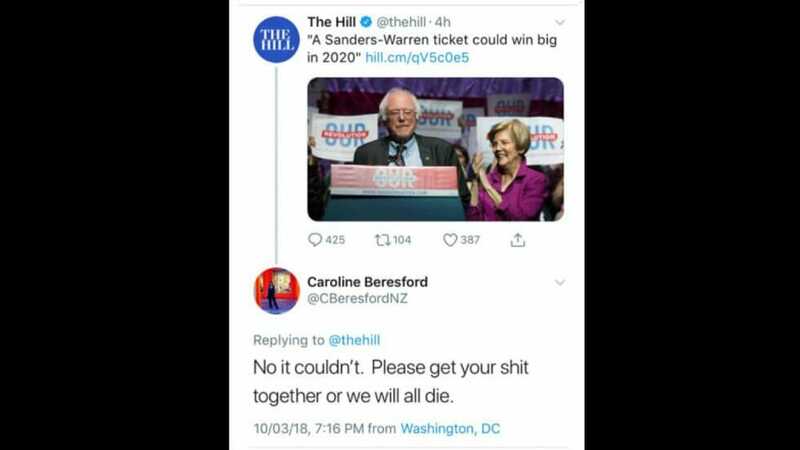 New Zealand censured its second-ranking envoy to the United States on Wednesday after she tweeted her opposition to a Bernie Sanders Elizabeth Warren Socialist ticket. For this Beresford was censured by the New Zealand government. She later deleted her Twitter account.